Lake Charles, LA – What do you get when you combine the letters A-L-M and K-T? For those in Southeast Texas who have seen flood waters rise due to Harvey making landfall a second time, these letters spell H-O-P-E.
Two divisions of The salvation Army, Kentucky-Tennessee and Alabama, Louisiana, and Mississippi, are combining to provide food, drinks and emotional and spiritual care to hundreds of residents cut off since Wednesday. Interstate 10 from Louisiana to Texas has been close to traffic following the storm. 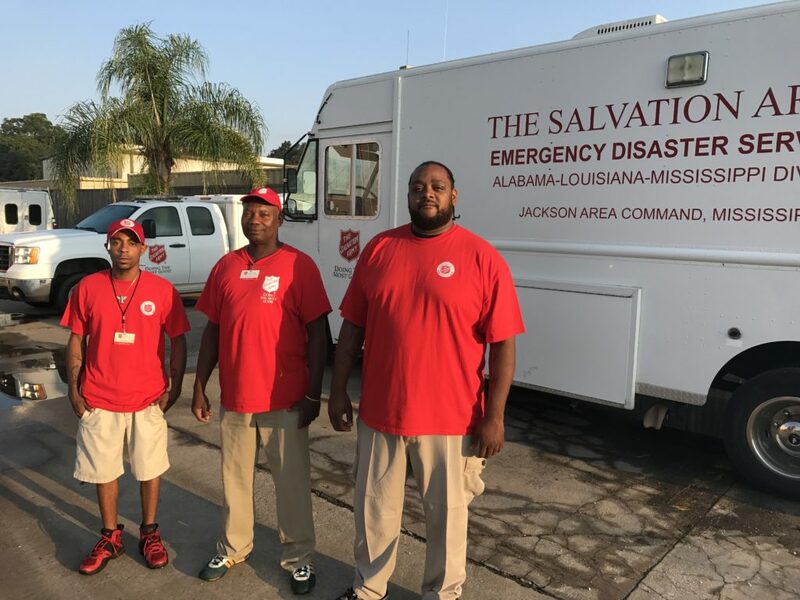 The Kentucky-Tennessee Division’s, Major Roy Williams says they know their target city of Beaumont, Texas is without water, and The Salvation Army Corps in Port Authur, Texas has been damaged by water. For canteen crews, they are ready to get in the affected area and help the residents in need. The Jackson, Mississippi Corps has a canteen and a catering truck in Lake Charles with three crew members. Sherman Sanders, a ten-year employee of the Jackson Corps, says he prepared to help now, but understand why they are delayed. Crew member, Chris White says he and his team want to bring a blessing to those in need after Harvey. “It’s in our hearts. This could be us one day, and we would want other to help us,” said Sanders. This team has six feeding trucks to serve those in need.